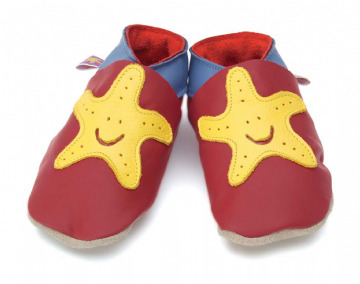 Made at their Leicestershire factory in the UK, Starchild shoes are handmade from lovely soft leather and really do stay on your baby's feet. Janet has been making shoes for over 20 years and stands (sorry!) by every shoe she makes. 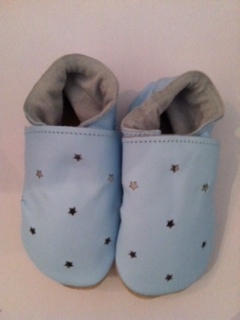 They protect little feet allowing them to breathe and grow naturally. 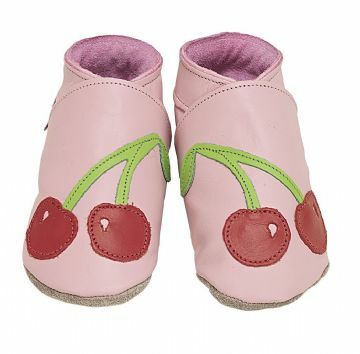 The natural softy leather upper has a durable non-skid sueded sole and is ideal for bouncing, crawling and early walking, even on tiled or wooden floors. The elasticated ankle keeps their socks on, can not be kicked off and ensures that the shoes really do stay on. 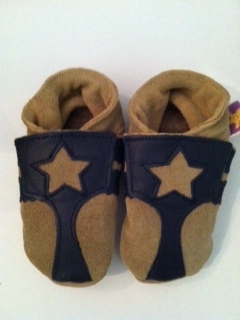 Starchild baby shoes & toddler slippers are recommended by mums and pediatricians. Soft leather allows feet to breath move and grow naturally.